The England international has now scored seven goals in his last seven games. Rooney's found his shooting boots lately. MANCHESTER UNITED MANAGER Louis van Gaal is hoping Wayne Rooney can continue his goalscoring heroics after netting his seventh strike in seven games during their 3-0 win over Stoke City on Tuesday. The United has enjoyed a remarkable upswing in form since the turn of the year and his scoring form has helped steady United’s form, as well as moving the England international to within five goals of Bobby Charlton’s club-record 249. Van Gaal has praised Rooney’s contribution, along with the performances of Juan Mata, and says that the skipper is again proving his worth at Old Trafford. “It will be good for him and good for me because when he scores we win,” Van Gaal said. “Mata participated in all three goals and that is what I like to see, but every player has to prove it every week – even my captain Wayne Rooney. He has to do that. Everybody forgets he was substituted against Stoke City on Boxing Day, but it is always the same with me. Email “Van Gaal delighted with upturn in Wayne Rooney's form”. 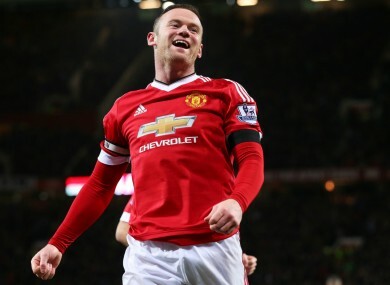 Feedback on “Van Gaal delighted with upturn in Wayne Rooney's form”.